If you want to improve your home’s curb appeal, there are many things you can do. You don’t need to accept the way your home looks. Here are some ideas to consider. If you have a drive that leads from the road and up to your home, you should have some lights in place. If the drive is dark, and you can’t see the path up towards the home, it can be a real negative point. And it’s so easy to install some small lights that lead up to the home. It makes it much easier and more pleasant for people who are arriving at your home for the first time. And it can add something new to your property even if the drive isn’t very long. You could have the lights set on timers, so they come on when it gets dark. And you can even use solar energy to charge them up during the daytime. Every front garden should have some flowers on display. If you have a front lawn, it’s definitely a good idea to make space for some flowers too. Yes, a lawn is important, but it can look a little dull and boring if it doesn’t have some plants and flowers alongside it too. It’s a really cost-effective way to add some life and a splash of colour to your front garden. And you don’t even need to have a front garden to make use of flowers. You can easily install a hanging basket to the front or side of your home. And you could also use window boxes that are put just below the window ledge and filled with flowers. Your roof is one of the most important parts of the home for many reasons. For a start, it keeps everything beneath it safe. But it also has a big impact on how your home looks from the outside as well. You should think about renovating the roof if this hasn’t been done for a whole. Over the years, the roof can be damaged quite a lot, so it’s definitely worth having those missing tiles replaced. You can easily contact a roofing company that can do the work for you if you don’t want to get up there and do the work by yourself. This is always a good way to give your home a new lease of life. When you paint an old door, you can make it look new again. And it saves having to buy a new door. Those old wooden doors can be very sturdy, so it makes sense to keep it in place. You should make sure that you paint it a colour that fits in with the rest of the house and the front garden too. 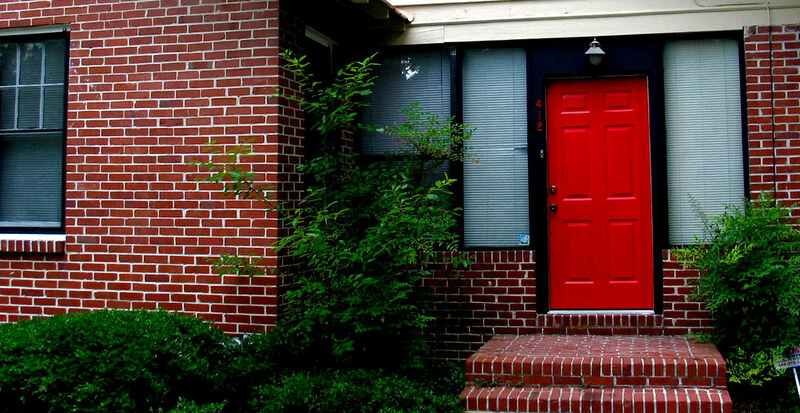 For example, if the centrepiece of your front garden is a large rose bush, you should paint the door red. That kind of matching symmetry can make the home look great when you look at it from the curb.